One of the best San Diego clock repair & watch repair store. Trusted in San Diego for more than 25 years. 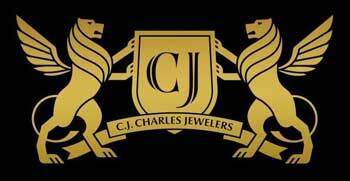 Offering watch, clock, and jewelry repair services. Services : Watch Repair & Sales including – Battery replacement, Water resistance testing, Timing rate check and adjustment, Ultrasonic cleaning of movement parts, case, clasp and bracelet, Replacement of any missing or worn parts, Polishing etc. 7007 Friars Road, San Diego, CA 92101, United States. The watch service center at CJ Charles is an official authorized service center for Panerai, Cartier, Breitling, and Omega. San Diego Rolex repair center. 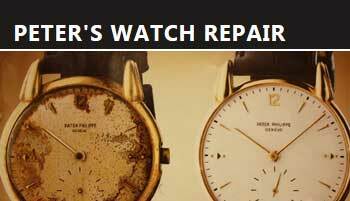 Repair service for other watch brands are Tissot, Vacheron Constantin, Montblanc, Longines, Seiko, Patek Philippe, Omega, Blancpain, Breitling, IWC, Audemars Piguet, Panerai, Hublot, Baume & Mercier, Cartier, Tag Heuer, Chopard, Ball, Bremont, Hamilton, Louis Moinet, Ulysse Nardin, Jaeger-LeCoultre and all other German or Swiss watch repairs. Watch repairs services including clean and overhaul, watch refinish, replace battery, add diamonds, replace crystal, new stem and crown etc. Fine Watch Repair Since 1975. Watch repair and watch restoration shop located in Fashion Valley, San Diego, CA. Authorized warranty and after warranty repair center for Victorinox Swiss Army and Phillip Stein watches. Other professional services are Rolex repair, Cartier repair, Omega repair, antique watch repair, restoration service, battery replacement and more. visit website for details. 7027 Friars Rd, San Diego, CA 92108, USA. Monday – Friday : 10 am – 7 pm. Providing same day complete watch repair services including watch battery replacement, watch band repair, cleaning & polishing, crown & stem repair, resealing & water testing, automatic or mechanical watch repair and more. Brand specific services – Citizen Eco-Drive Watch, Seiko Kinetic, Rolex watch repair San Diego CA.